Quincy residents have a new way to get to the T after a gate reopened for the first time in three decades. A pedestrian gate behind an MBTA station in Quincy, Massachusetts, has opened, making access to public transportation easier for neighbors. 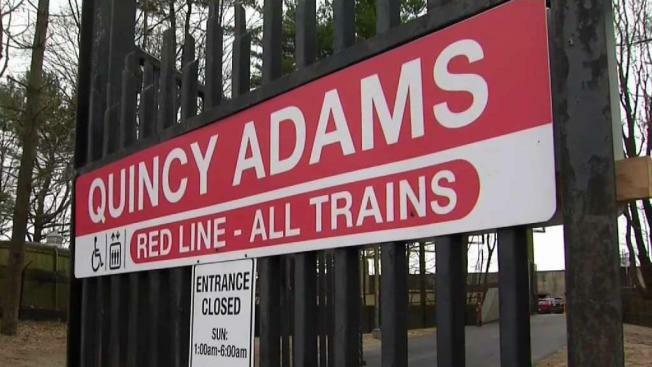 Due to concerns about crime and commuters leaving cars parked in the Penn Hill neighborhood for entire days, the gate behind the Quincy Adams stop had been closed for 30 years. "We live three doors down and I have always wanted to be able to go straight in," said Dorothy Irons. However, not everyone is convinced the concerns that kept the gate at Independence Avenue and Verchild Street closed for decades will go away anytime soon. "I think it's going to be a disaster with the traffic and the parking," said Patricia Costello. In hopes of making this work, Quincy has installed new traffic lights and signs banning on-street parking for all out-of-towners. People living in the neighborhood can get free stickers to avoid tickets for parking on the street. "It's really meant to protect the residents who live here from having their neighborhood treated like a parking lot by people who don't live here," said city traffic director Chris Cassani. The biggest benefit will be for neighbors who regularly ride the MBTA. When the gate was closed, it could easily take 10 minutes to drive to the front of the station. Now, it's just a quick walk across the street. "I think it's great for the community, great for the people living in the area," said Phil Ho. It's only been one day so far. But the city plans to keep an eye on the gate and the new traffic restrictions in the neighborhood to make sure they're working.